As pioneering watchmakers, Rolex led the market from the front with its continuing technological triumphs. The 1956 Day-Date was one of those triumphs, being the first watch to feature self-changing day and date indicators. The Day-Date is offered by Rolex to every President in office at the White House. People who know how to spend their money on luxury, always turn to the Rolex President as their first choice. Out of all Rolex watches, the Rolex President Day Date for men is the number one luxury timepiece in the world and for good reason. It’s the Father Rolex to the entire Rolex watch family. 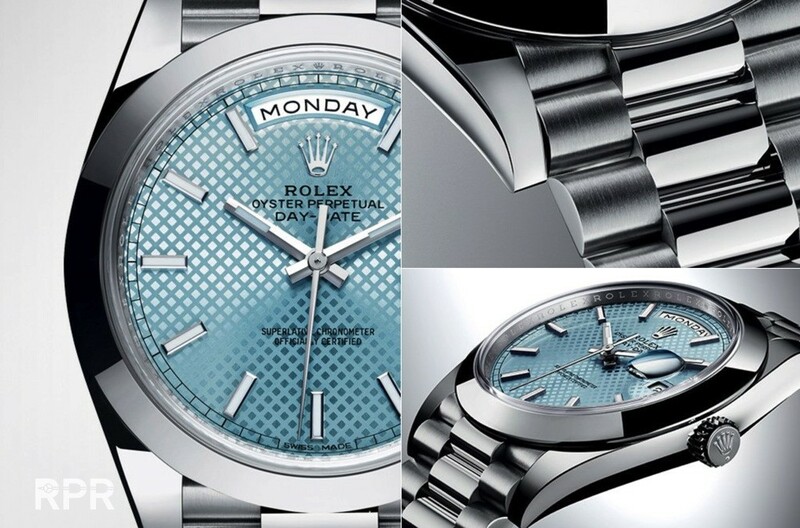 Rolex watches in the men’s President Day Date collection are known for their incredible prestigious design, whether it’s all 18K Gold Rolex President Watches, or 18K White Gold Rolex President Watches. Rolex also includes diamonds and precious stones on some of these models. If you are in the market for a Men’s Rolex President Day Date watch,We understand the importance in quality, combined with top notch customer support, to create the best Rolex Watch shopping experience. Rolex released the Rolex Datejust II and Rolex Day-Date II in the last few years. Their purpose was to be larger-sized versions of the classic Rolex Datejust and Rolex Day-Date. The Rolex Day-Date is also often referred to as the Rolex President. Rolex even refers to its bracelet style as the “President bracelet.” The Rolex Datejust and Rolex Day-Date models sold for the last many years were both sized at 36mm wide. For a long time that size was considered sufficient for a man, but over the last decade men have continuously preferred larger watches. Even though no one said it would happen, Rolex buckled under the pressure and began to release larger versions of their classic pieces.